We are fascinated with the idea of finding the point where the virtual meets the tangible: real-life experience and its online transmission. For that reason we named our agency Broccoli Online & Offline. With Motortube we thoroughly exploit that meeting point to enhance the experience of motor marketing events for participants. 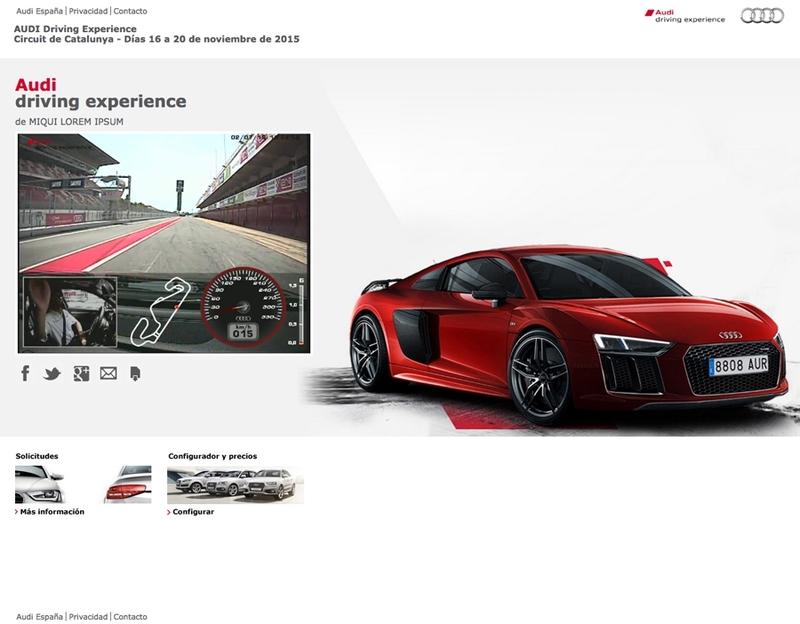 The idea was to couple the real-life race circuit driving event with a memorable digital souvenir of everything experienced behind the wheel of these amazing cars: a track map with positioning, speed, acceleration, lap times, number of laps, as well as the motor revs. We were able to achieve this by designing a functional digital video system, both economical and easy to instal, which records the driver and the track at the same time, while microphones, GPS and accelerometer equipment captures all data in real-time. Personalisation of of the email advising that the video is available for viewing. Without letting the experience become a distant memory, we quickly edit the video together with the collected driving data and upload it to Motortube. Hence everything is ready for when still-excited drivers receive the video link by email, allowing them to relive the experience and also share it with their friends. Sharing with friends is an important part of the experience. 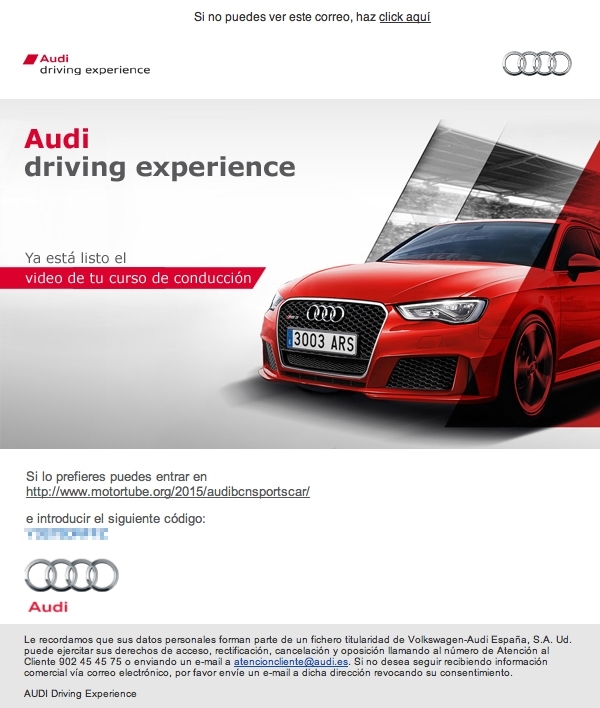 Personalisation of Motortube for the Audi Driving Experience. The Motortube platform is 100% adaptable to your marketing and brand image needs, allowing pre-roll adverts to be added before each video. Additionally, it’s a real-life communications tool, direct and personal, which allows the brand to offer clients exclusive content. If you would like more details about how to implement Motortube for your event please get in touch with us. 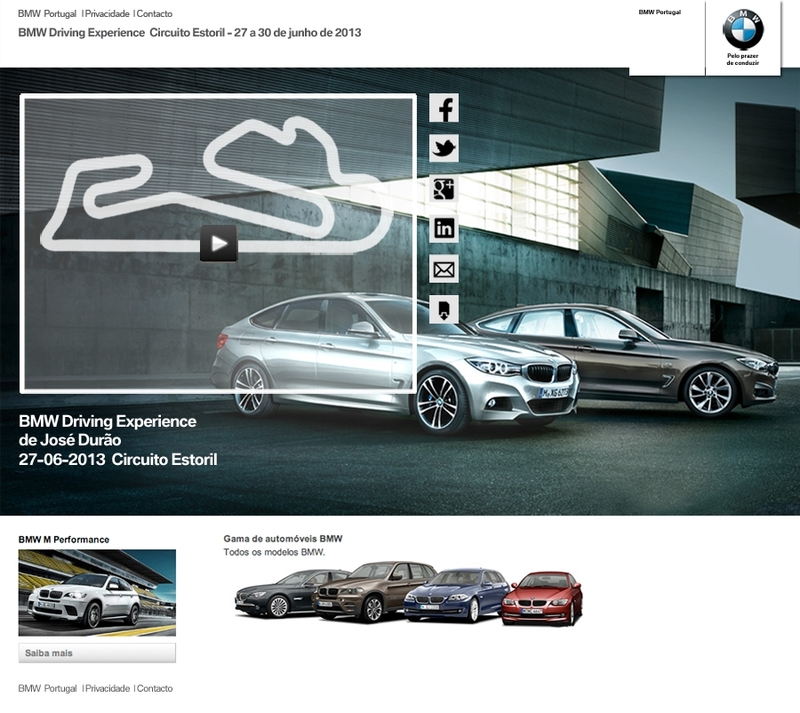 Personalisation of Motortube for the BMW Driving Experience in Portugal.